The second Bass Center will be held in Asheville, NC at the Asheville Civic Center. We don’t want you to fall victim to scalpers or miss out on tickets, so please purchase as soon as you can! These tickets are FLYING so fast they must be cheetahs with wings. THIS EVENT IS NOW SOLD OUT – THANK YOU ASHEVILLE! 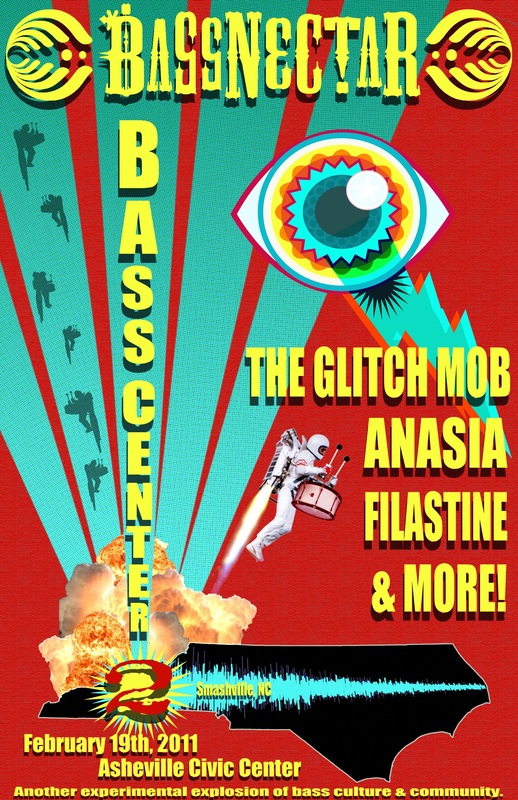 WIN AN EXCLUSIVE MEET & GREET with Bassnectar & The Glitch Mob, learn more here! Or for info on our Asheville afterparty, click here.